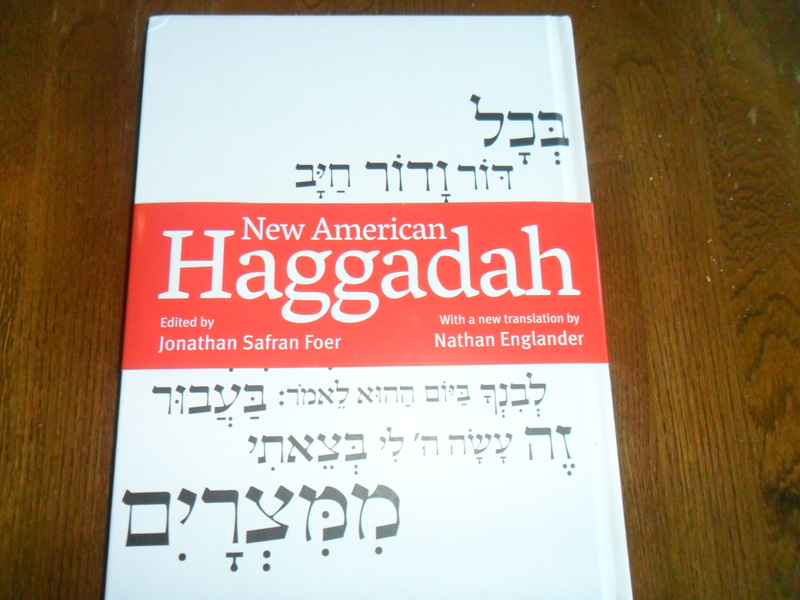 I was reading an article online and it mentioned the haggadah. I was pretty sure that this was the book used at Passover seders, but wasn’t 100% sure, so I googled it. 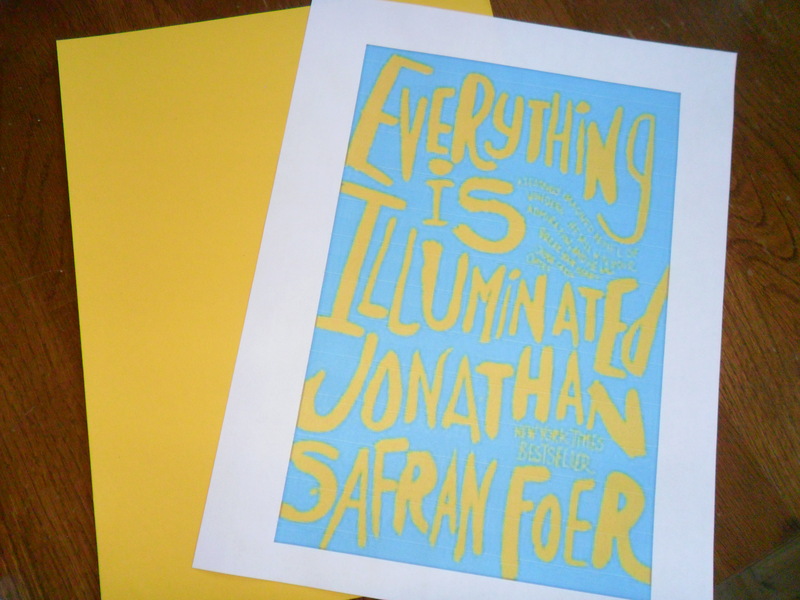 When I did , a picture came up of New American Haggadah by Jonathan Safran Foer. What an amazing coincidence, since he is my friend Leigh’s favorite author and she hosted the very first seder I ever went to. Well there was only one thing to do – amazon.com and add to my cart! I was excited to give it to her in time for her to use at her seder this year. I wrapped it in tissue paper but couldn’t find a ribbon I really liked. I remembered a Friday Favorite on mine that I picked a few weeks ago where someone cut out an initial from pages of an old book (My Friday Favorites 03/08/13.) 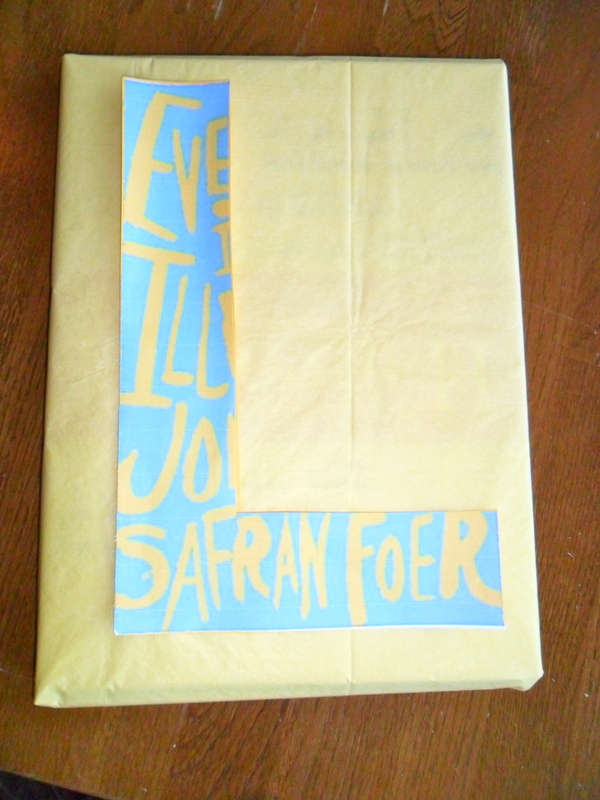 I found a picture online of the cover of Leigh’s favorite Jonathan Safran Foer book and cut out a letter “L” from it to decorate the package. My favorite time to give a present is when I find one I think someone will really like – not because it’s their birthday or the calendar says December 25. I’m a firm believer in – if you see something someone may like – get it for them – a surprise present will brighten anyone’s day! My Color Coded Life tip: when wrapping with tissue paper you must use many sheets. This makes it sturdy like wrapping paper and covers up the gift. What fun is opening a present if you can already see what it is through the wrapping? I hope Leigh and her whole family had a very blessed Passover! And congrats to my friend Angela who made the 400th comment yesterday! Prize to come! Thank you again for this present. It feels great when a friend really KNOWS you and thinks about you at different times of the year! You are an inspiration in gift-giving! You’re welcome- I’m glad you liked it!